We all know the importance of having a contact form in a website. If you still have a doubt on why one should have one? Then, before reading the WPForms review which is most popular and commonly used drag and drop WordPress form plugin! The niche of the website! And How much traffic a website is receiving? …and there are plenty more reasons to have a contact form. That’s the reason, there are so many contact form and form builder WordPress plugins are available in the market. If you are thinking which Contact Form WordPress Plugin you should choose? Then go for WPForms! You heard right! Why so? Read this complete WPForms review to understand why you should prefer WPForms over all the other options available in the market. Why WPForms WordPress Plugin is so Popular & Trusted among wide audience? 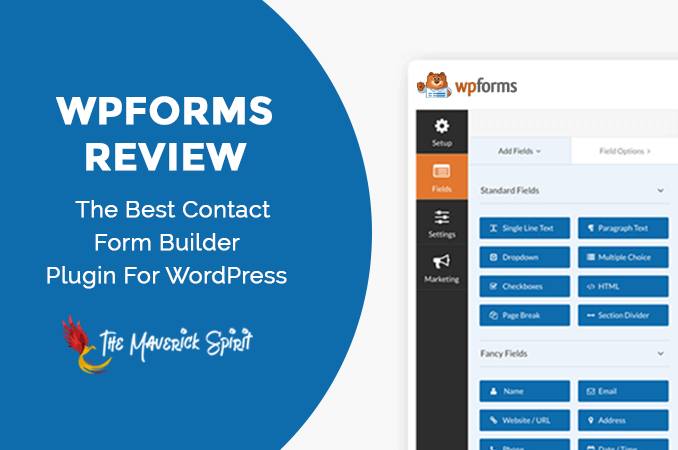 WPForms is a Drag & Drop WordPress Form Builder to create easy and powerful contact forms for your website in minutes, instead of hours. It is considered as one of the most beginner friendly contact form plugin. WPForms is more than just a contact form plugin! 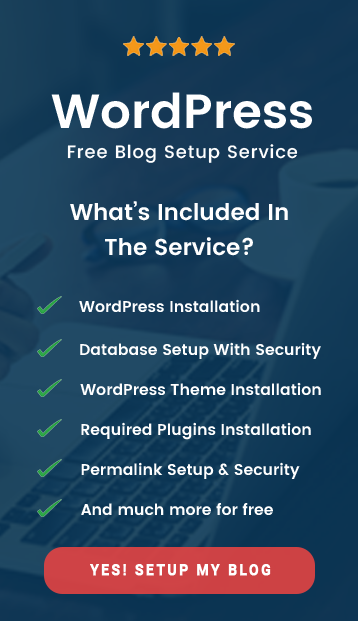 With the help of WPForms, you don’t just create contact forms, but also build powerful and advanced subscription forms, payment forms, and other type of forms for your WordPress website. Why WPForms is So Popular & Trusted WordPress Forms Plugin? Have a quick read why bloggers and digital marketers trust WPForms -Drag & Drop WordPress Forms Plugin for their website over other plugins. Hiring a developer for common tasks not only waste your money, but also time. Instead without even writing a single line of code, you can use WPForm’s drag and drop builder to easily create powerful forms for your website in no time. WPForms lets you create even complex forms (like registration and payment forms) very easily. Forms created using WPForms are not only 100% mobile responsive, but are also optimized for web & server performance as well. With the drag and drop feature of WPForms, it’s easy to create even complex forms in few minutes. You neither need to hire a developer, nor have to write any code. WPForms is listed in the top 25 most popular WordPress plugins of all time. 2000+ honest WPForms reviews with 5 star customer rating. Trusted & getting used by 1,000,000+ Websites. Without even touching a single line of code, you can easily add and remove text fields to your contact forms with inbuilt drag and drop builder. Create a responsive WordPress form with WPForms within 5 minutes or less. All forms built by WPForms are 100% responsive, mobile friendly or viewing device friendly, SEO friendly and optimized for speed. Don’t have time to build a contact form with scratch! 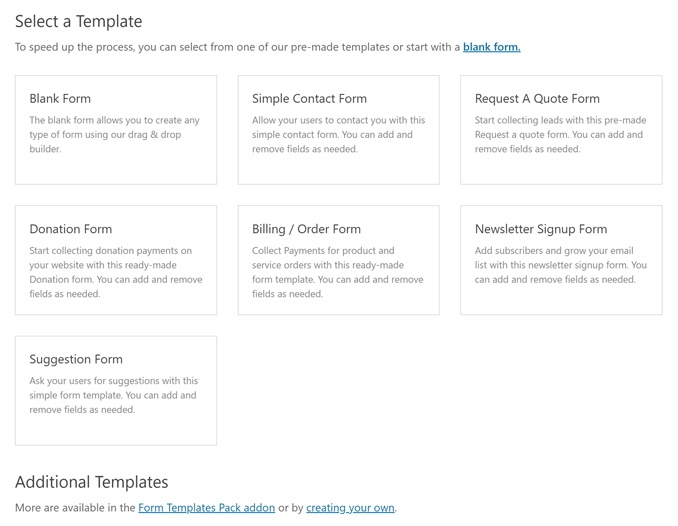 No worries, you can choose from pre-build form templates to save your time. Edit, add, re-arrange or remove the fields as per your requirement. 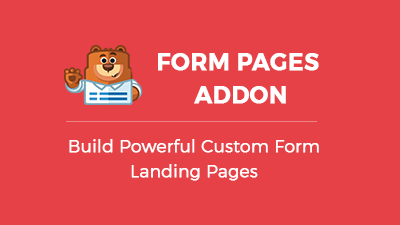 No matter which form you want to create whether its a simple contact form, webinar registration, donation, payment order form, or a subscription form, you can unlock more forms with Form Templates Pack Addon bundle provided by WPForms. It is the latest feature introduced by WPForms. Form Pages is a great alternative to Google Forms. You can create distraction free dedicated landing pages. Choose from multiple styles, pick premade & custom color schemes, insert custom logo. You can do this all with no coding involved. Create custom landing pages for – Lead generation, Surveys, Membership sites, and Events. Use the power of WPForms – Multi-page WordPress form builder plugin. Using multi-page feature you can split your long forms into small forms or multi forms to increase better user engagement. Smart conditional logic helps you control how your form works. 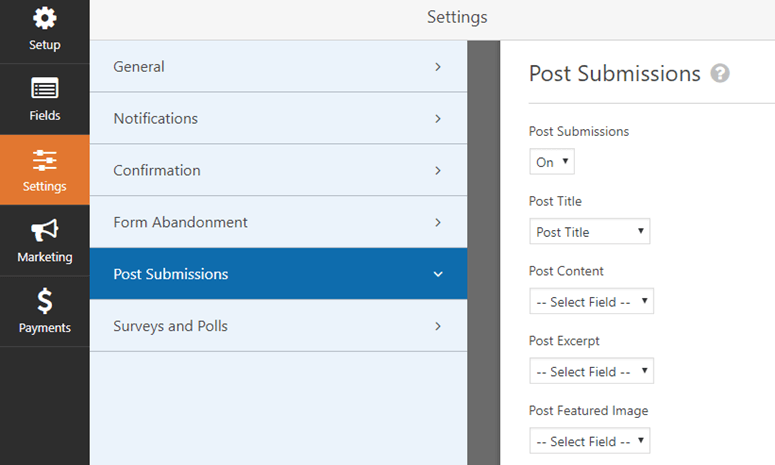 Building forms in WordPress can be hard but with WPForms it is easy! With conditional logic feature you can create high performance forms in minutes, Collect relevant information based on user’s requirement. Using conditional logic, you can show or hide various form fields based on user’s interaction. Best feature for – Publishers, Agencies, Consultants, Surveys, and Digital Marketers. Keeping spammers to submit forms on your website can be hard! 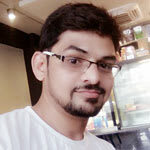 Well, WPForms uses smart reCAPTCHA project by Google and honeypot technique to prevent spam submissions through forms. You just need to add or setup reCaptcha from Google to your form where you need to insert your API key. Enable or tick the reCaptcha box on your form and you’re done! WPForms File upload feature helps your users to upload files and media. WPForms WordPress form plugin restrict file types to safe files. It also offers a maximum upload size to save your storage space. Standard Fields – Using standard fields you can manage – Single line text, Paragraph text, Dropdown, Checkboxes, Numbers, Multiple choices, Name, and Email. Advanced Fields – Things you can manage in Fancy fields includes – Website/URL, Address, Phone, Password, Date/Time, Hidden field, File Upload, HTML, Page break, Divider, and Rating. 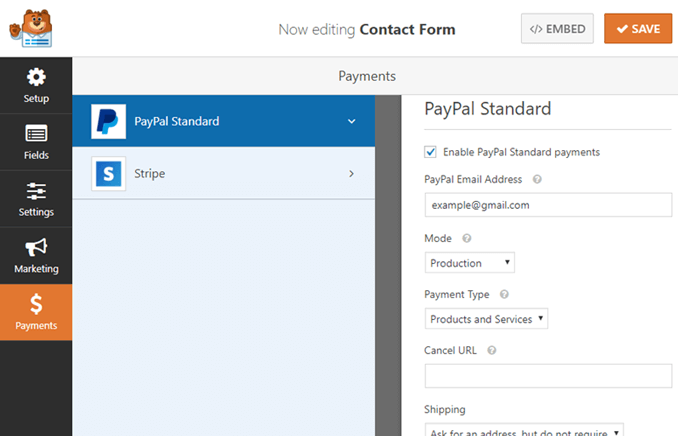 Payment Fields – Using Payment fields you can add a Single item, Multiple items, Dropdown items, and Total. WPForms entry management process all the data collected through leads in one place to streamline your workflow. You can select a particular form from your dashboard to see all the details collected through it. View the data, Mark it important, or delete specific data based on your requirement all at one place! Custom Captcha addon allows you to add custom captcha question and answer or math captcha questions to your WordPress form. By making use of this feature you protect your form by spam submissions. WPForms support 6 email marketing services integrations to be used with forms. They are – Constant Contact, MailChimp, AWeber, GetResponse, Campaign Monitor, and Drip. 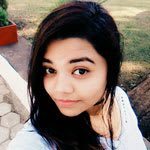 These email marketing integrations with WPForms helps you to create signup forms in WordPress in order to grow your email list. To collect payments, donations, and online orders easily WPForms contact form WordPress plugin supports two payment add-ons. They are – PayPal and Stripe. You can create advanced forms with WPForms like – Surveys and Polls Form, User Registration Form, Login Form, and Post Submission Form. Zapier integration with WPForms lets you connect with 1300+ web apps. You can now easily pass your form information to other applications like – email service providers, CRMs, payment methods, and much more. Using Signature addon by WPForms, your users can add their signature to a form on your website easily. They can either use mouse or touchscreen for signatures. A powerful and necessary addon to be used for – Contracts, Service agreements, Terms of service, Non-disclosure agreements, and Petitions. Sometimes while filling the form certain situations occur like internet disconnectivity, or power loss. All the dat filled by users get lost! To avoid the loss of data filled by an user, you can use Offline forms feature. Just enable it from your WPForms dashboard. Doing so, a user can retrieve his data when their device gets reconnected with the internet. Lock your forms with permissions or access control rules by Form Locker addon. or restrict forms to some members only. WPForms offers 4 premium and flexible pricing plans suitable for website of all sizes and budgets. WPForms pricing plans are specially design to suit website of all sizes and budgets. Any website, whether it’s a blog, business or ecommerce website, can use WPForms. Basic plan is $79/year for 1 site and have all the basic features like access to form templates, multi-page forms, spam protection, condition logic, entry management, advanced fields etc. It also offer integration with the constant contact email marketing service. Plus plan is $199/year for 3 sites and have all the features of basic plan. It also offer integration with other email marketing services like aweber, drip, campaign monitor, mailchimp and getresponse. Pro plan is $399/year for 20 sites & Elite plan is $599/year for unlimited sites and have all the features of basic and plus plans. Elite plan is best suitable for developers, companies and agencies. WPForms offer priority support only on pro and elite plans. Plus & basic plans have standard support. I will definitely recommend WPForms Contact Form WordPress Plugin because as a developer I completely understand that building a contact form with code is messy and time taking task. And, WPForms offers a great user experience both from the front-end and back-end. With the WPForms drag and drop editor, you can create beautiful contact forms, payment forms, post submission forms, email subscription forms, and much more in minutes instead of spending hours or hiring a developer. On the other hand, features like post submissions, payment integration, integrations with more than 5 email marketing services, spam protection and many more makes it a power tool that your website must need. I will recommend you to – Try one of the WPForms Pro Plan as they offer a 14-day money-back guarantee. You can get your money back just in case WPForms won’t meet your expectations. Thanks for this post. It saved me some time instead of having to add a bunch of plugins and testing out each one. Always need help deciding on plugins, appreciate the research! Will be checking out the signature plugin. I get a lot of emails from my contact page. It is definitely essential for online business! Thank you for this detailed review! I had been looking at WP forms, and now I know all about it! I appreciate it! What a very though list to learn from. Having an email list and getting the right form can be quite daunting. Thanks for sharing.